Binaural beats therapy will deliver different sound signals to each ear. When the two sounds are brought together by the brain, it creates a single tone that seems to have a “beat” to it. This effect was first discovered in 1839 by Heinrich Wilhelm Dove. Most people can use binaural beats therapy without difficulty. It can treat anxiety, improve sleep cycles, and induce brainwave states that can promote relaxation. Certain people should not use binaural beats programs until they’ve consulted with their doctor, especially if they have a diagnosis of epilepsy or an irregular heartbeat. Binaural beats therapy has been around since the 1960s, but only recently has it become an option that is available at a reasonable price. Even though programs have become cheaper, their benefits still remain the same. When used on a regular basis, a binaural beats program can increase personal confidence, increase motivation, and improve personal meditation experiences. Some programs may reduce stress or anxiety, increase focus, or improve psychomotor performance. 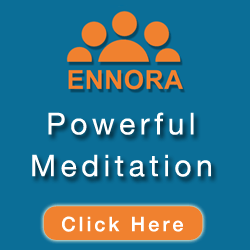 Ennora Binaural Beats is a story that begins with a 2008 chance meeting at a meditation seminar. More importantly, Ennora is a story that proves how two friends can change the world for the better. Like many reasonably-priced binaural beat therapy providers, Ennora focuses on individualized programs that are tailored to meet a specific need. This is achieved by creating different frequencies in each ear that create a “beat” sensation within the brain. The results are based on the frequency gap that is achieved. There are several excellent programs and program packs that are available from Ennora that are priced extremely well. All of their individual programs, which average 30 minutes in length, are priced at $9.99. Here are some of the best programs in Ennora’s portfolio that are worth a download. #1. Astral Projection. Whether you believe in this ancient spiritual practice or not, there is no denying the practical benefits which can be achieved from this program. It is designed to help induce astral projection, but it can also complement a deep meditation session, help someone relax, or achieve a deeper, longer sleep session. #2. Confidence Booster. Some people struggle with anxiety every day. They worry about what might happen to them. They worry about doing their job correctly. They even worry about the fact that they worry so much. This program is designed to help someone break out of that far cycle, using simple coping techniques, such as ohm breaths, to create calm and confidence instead of worry and fear. #3. God Consciousness. People who pray often talk about how the act of prayer makes them feel connected to the supernatural. It is a chance to feel more connected to the people and the world. Moments of perfection can be noticed more frequently and joy can be found in the simplest of things. If you meditate, practice Yoga, or pursue another avenue of spirituality instead of prayer, this program will still help you connect on a much deeper level. #4. Mind Power Pack. This package of programs includes Creative Mind, Deep Concentration, Brain Power, Confidence Booster, and Crystal Clear Mind. It provides a 20% discount over the individual program download cost. Designed to strengthen your focus, it provides the foundation upon which an individual can learn, strengthen, and grow their emotional and spiritual strength over time. If you’re unsure about the quality of the recording or the benefits that binaural beats therapy can provide, try their free download. You’ll receive a 10-minute sample of their Recharge and Refresh program just by signing up for Ennora’s mailing list. Some binaural beats providers seek to provide long-term solutions to problems that are being experienced. Brainwave Shots takes a different approach. Their goal is to provide you with the temporary boost you need to accomplish a specific task. There are several specific categories available that provide a “shot” of what you need at that very moment. 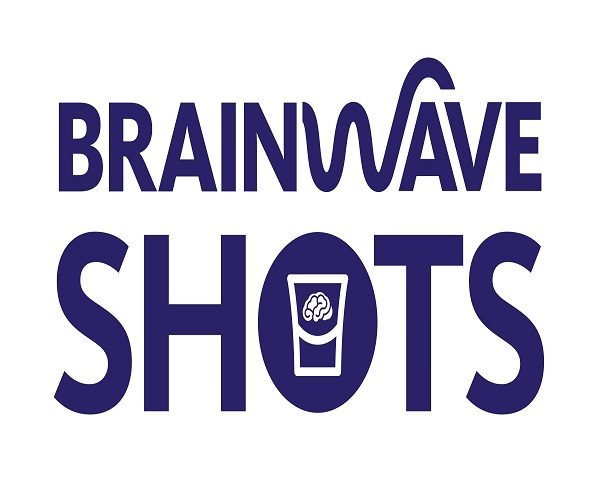 Brainwave Shots is one of the program series that is offered by Inspire3. Founded in 2008, they are based in the United Kingdom and are registered as a limited company. Every product comes with a trial period or money-back guarantee to ensure personal satisfaction. Here are some of the best “shots” in their portfolio. Programs begin at $17.95 or an entire category of 5 programs can be purchased for $37.95. #1. Inner Peace Shot. This program is designed to provide you with a place of quiet amidst the chaos of today’s world. It is a chance for you to feel at peace. It encourages an attitude of personal reflection while being able to enjoy a certain stillness that is not always present at the modern pace of life. The goal here is to feel more connected to your true self while giving you the chance to reflect on your current priorities. #2. Tension Release Shot. There are plenty of stressful things in today’s world. Stress must be managed, otherwise it can impact personal health in a variety of different ways. The goal of this program is to change your focus. Instead of looking at only stressful events, you’ll be able to begin reflecting on what is good about who you are and what you do. Even after listening to this program just once, most people say they feel better, even refreshed, and can continue on with their day. #3. Success Shot. If you feel confident, then you can be confident. If you feel successful, then you have a greater chance of experiencing success. The purpose of this program is to improve mental alertness so you can tap into your hidden energy reserves. It is difficult to find the success you want if you feel tired or unfocused. By taking 15 or 30 minutes to listen to this program, you can once again find the determination you need to meet your goals. #4. Chilled Shot. One of the best parts of the day is the moment when you step through your front door. It may have been a long day at work, but in that second, when you first step into your home, there is a transitionary period where the stress from the day goes away. For many people, however, it almost immediately comes back. This program is designed to help that stress stay away once it leaves. There is a sense of release when using this program, breaking the chains of worry so you can focus on what is most important to you. If you want to try out one of these programs first, Brainwave Shots offers a free audio download by signing up for their special offers. 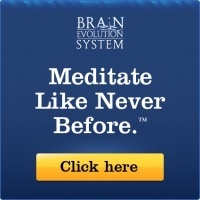 Click here to download your free Brainwave Shots audio. The human experience is more complex than we probably even know. There are many mysteries about the brain and our subconscious that we are just starting to unlock. Binaural beats therapy offers unique opportunities because it encourages the brain to access its own natural resources. Most program providers focus on some common themes, like happiness, confidence, or better sleep. The Unexplainable Store embraces the complexity of the human experience, providing programs that range from the deeply spiritual to physical health improvement options. In some ways, it is a unique opportunity to harness the power of the placebo effect. #1. Spiritual Well-being. When a person is spiritually healthy, there is a sense of inner peace and comfort that comes along with that state. There are life circumstances or personal encounters that can affect this spiritual health. When you get hungry, you eat. If you get tired, you sleep. If you need spiritual sustenance, try this program. It can help you to embrace your faith, no matter what it is that you may believe. #2. Mind Body Detox. The outside world might provide fresh air, but it can also provide pesticides, chemicals, and other pollutants. Many homes are filled with these contaminants as well. The human body is designed to release contaminants, but it is not always successful in doing do. The mind can hold onto distressing memories for decades and poison current perspectives. With this program, the goal is simple: to learn how to start letting things go. #3. Christ Consciousness. Although humanity has gone to war for centuries over religion, and still does today, it is this consciousness that connects as well. Most of the world’s religions are connected in some way. This program helps individuals embrace a higher form of consciousness to seek out the harmony we have with one another and the universe. We are stronger when we learn from our differences. Discovering that truth leads to a better human existence that includes honesty, kindness, and humility. #4. Motivation. What did you want to be when you grew up? A doctor? An astronaut? A firefighter? These childhood thoughts are often the first encounter we all have with motivation. Over time, those dreams die only because we allow them to disappear. That motivation never disappears. We just stop embracing it. This program has the goal of bringing it back again. 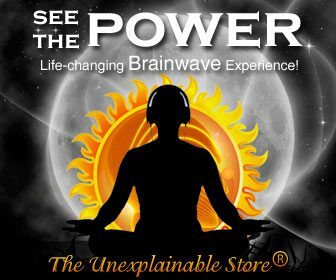 By subscribing to the newsletter from The Unexplainable Store, you can receive a free full-length recording and an isochronic video. The scientific benefits of meditation are numerous. You can use meditation to reduce stress. Regular meditation can improve concentration levels and encourage a healthier lifestyle. The only problem with meditation is that it can be a practice that is extremely difficult to get started. In the United States, only 8% of adults currently practice a regular routine that includes meditation. More people go to their Chiropractor regularly than practice meditation. You’ll find that the programs provided by Binaural Beats Meditation do an excellent job of bringing a mindset toward meditation, no matter what form of it works best for you. #1. Zen Focus. This program is designed to be a centering influence. It can be used on its own or played in the background while you’re working or studying. The goal is to get the mind into a state of pure concentration so that distractions can be minimized. If you struggle to settle into a routine of work or find focusing on a single task to be difficult, this program can be immensely helpful. #2. Positive Thinking. Self-doubt is the harshest critic that any person can have. In a world that demands a fast pace, stress seems to be everywhere. The human brain, despite its enormous complexity and ability to categorize and sort data, is not immune to the stresses of constant activity. It needs time to rest and process the information it has collected. This program helps to establish that pattern of rest so that there is less stress, which naturally limits the amount of self-doubt that individuals experience. #3. Memory Enhancer. Most adults begin to experience slight declines in their memory around the age of 30. Thankfully, no one needs to settle for not remembering why they entered a room once they got there. This program is designed to take advantage of the relationship that exists between long-term memory and gamma brainwaves. With regular use, the goal of this program is to help individuals retain and recall information. #4. Super Brain Power. Ever wake up and feel like you just want to go back to sleep? Sometimes, there is a need to temporarily boost the power of the brain. You’re not looking for long-term changes. You just need something right now that will get you up and working. That’s what this program is designed to provide. It puts you right into the Alpha zone, creating feelings of relaxation while enhancing focus. 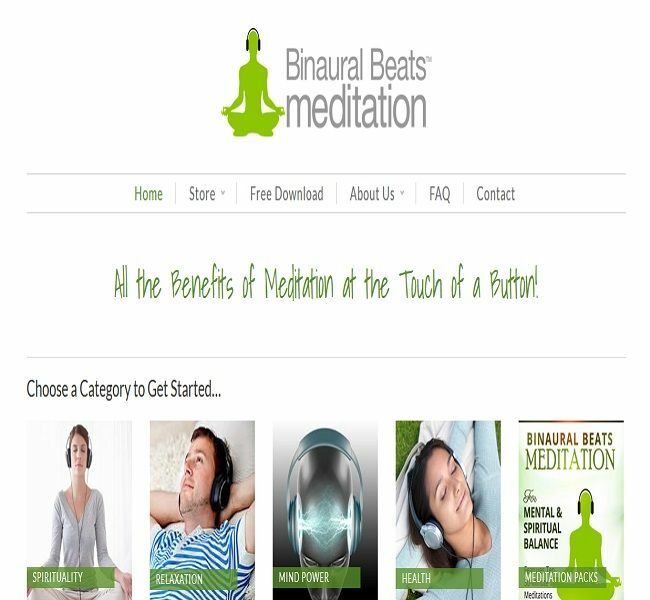 You can experience the quality of the programs that Binaural Beats Meditation provides as well. If you sign up for their email program, you’ll receive a free 10-minute download of their Chill Pill program and receive a unique and informative guide to binaural beats. The best binaural beats at reasonable prices allow anyone to experience the therapeutic benefits of this technology without breaking the bank. If you’re looking to create change in your life, these programs can help you to take the first step. Choose the program that makes the most sense for your needs and then commit to the change you wish to see. ​“Beware of Binaural Therapy?” Dr. Andrew Weil, MD via drweil.com. Smith, Lori. 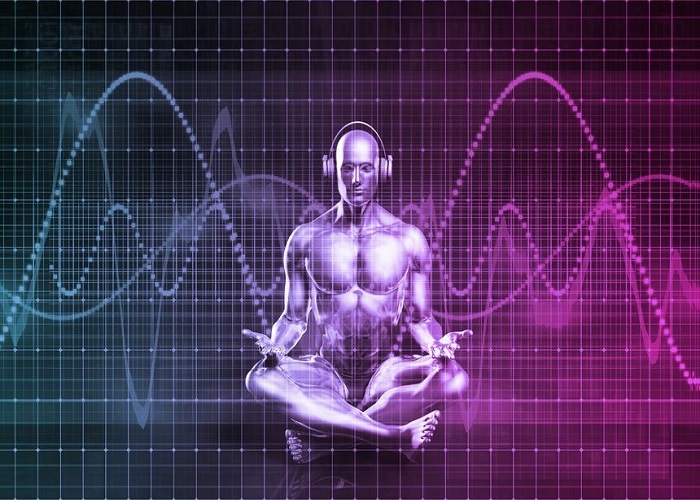 “What Are Binaural Beats and How Do They Work?” Medical News Today. Last Reviewed November 14, 2017. ​“Putting the Placebo Effect to Work.” April 2002. Harvard Health Letter. Crane, Kristine. “8 Ways Meditation Can Improve Your Life.” Huffington Post. September 9, 2014. Updated December 6, 2017. ​“Use of Complementary Health Approaches in the U.S.” National Health Interview Survey.